If you’re looking for something in this sort of price range, I genuinely think you’d be better off with another BaByliss straightener unless you have short hair. The LED feature is just not particularly useful and the whole set just feel a bit…well, cheap. BaByliss has some really excellent hair straighteners that can be found for only a fraction more and I think are well worth it. This feels like a budget choice when it’s really not necessary. Although you can use it as a curler, if you intend on doing that a lot I’d go for either a specific curling tong or a GHD straightener that can curl much more effectively and with longer lasting results. BaByliss is now a part of the multi-national Conair and has been since 1995. While it’s parent company is one of the world’s largest manufacturers of personal hair appliances, BaByliss gained its reputation before being acquired. Founded by the Parisian hair stylist Lelievre, the expertise behind the brand has been obvious from the outset and he worked hard to build it into the company that Conair so wanted to buy. BaByliss usually make high quality products at reasonable prices that appeal to a broad spectrum of people. Although these hair straighteners sound more like a pregnancy test, I wouldn’t advise using them for such a purpose. The LED display tells you how hot they are, not how many days you are along….confusing right? 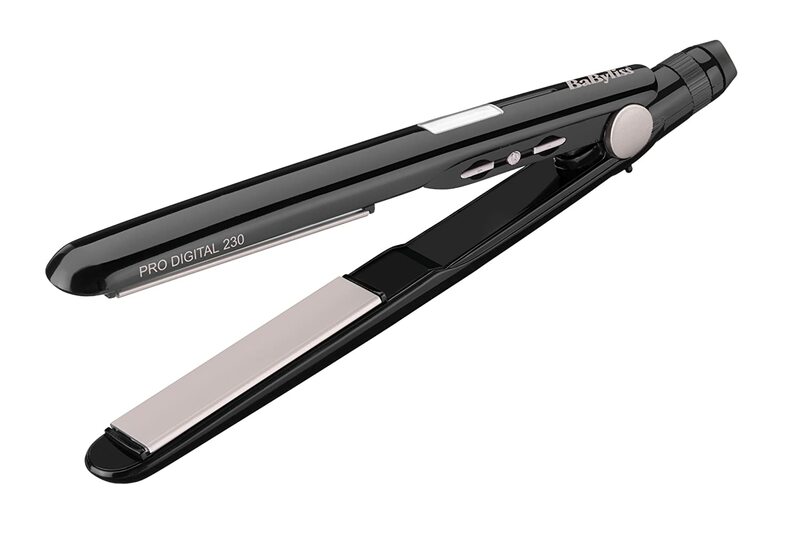 For modern straighteners, these take a whopping 45 seconds to heat up which is miles longer than most competing brands. It has five temperature settings, which I think is a bit much but some people may prefer that. I’m not completely sold on the LED display and other hair straighteners manage variable heat settings just fine without one. It’s seems like unnecessary technology and you wonder what they’ve sacrificed to fit it in without a bump in price. The 1 inch plates are good for short hair and fringes but they take too long on thick, long hair so if that’s you, it’s time to look elsewhere. The ceramic plates are good and the hair slides easily through them without catching. 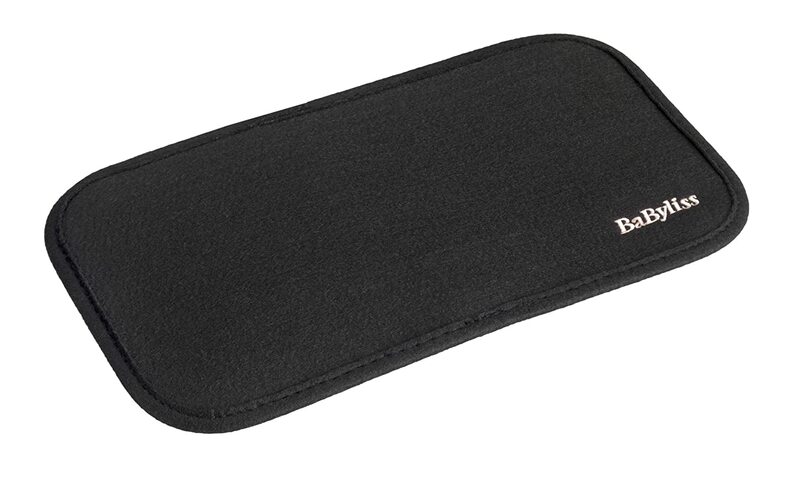 They come with a heat resistant mat that’s a good size and prevents you singing the carpet. 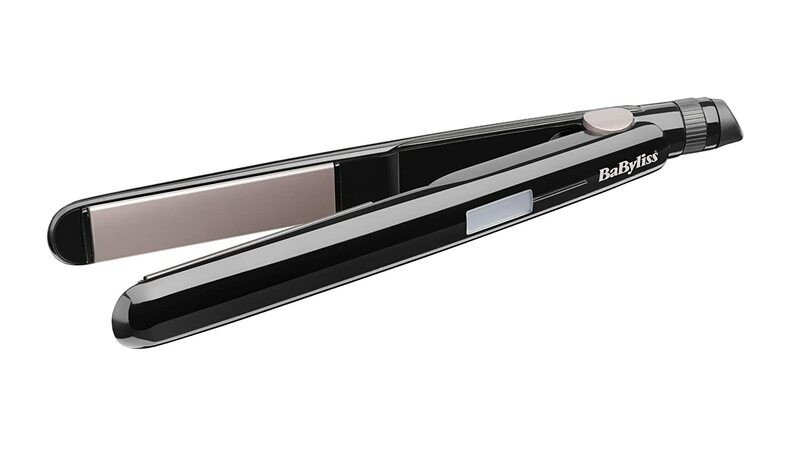 It’s reasonably easy to curl your hair with these too although nowhere near as blissfully as with the GHD V Stylers – but you get what you pay for. They have a simple design and are pretty standard to behold. I find the hinge a bit clunky but it doesn’t affect the usability and they work just fine. The results last most of the day and you’ll only need a touch up if you straightened in the morning and are going out in the evening. 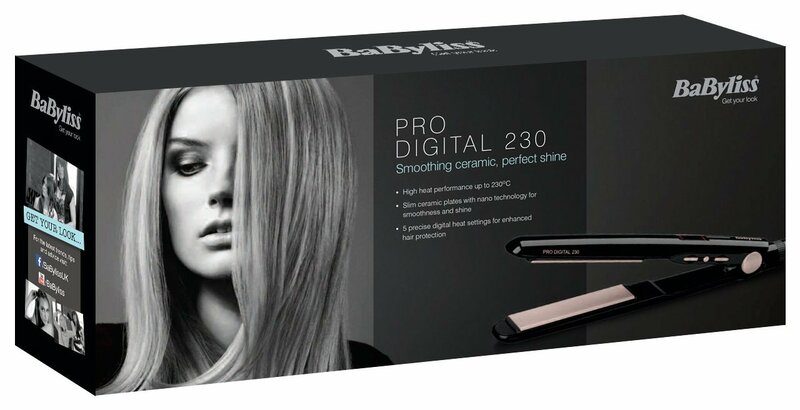 Along with other BaByliss products, this straightener has a 3 year guarantee which isn’t bad but doesn’t quite match up to the 5 year guarantee of some other brands. They don’t feel particularly high quality but don’t necessarily let that fool you with BaByliss stuff, they usually do last quite well. Unless you have short hair, I’m not really sure why you would get this product over one of BaByliss other straighteners like the Pro Elegance. While they work well, they take a while to heat up and just don’t look as nice as others. Okay they’re very cheap – but I’m just not that convinced.